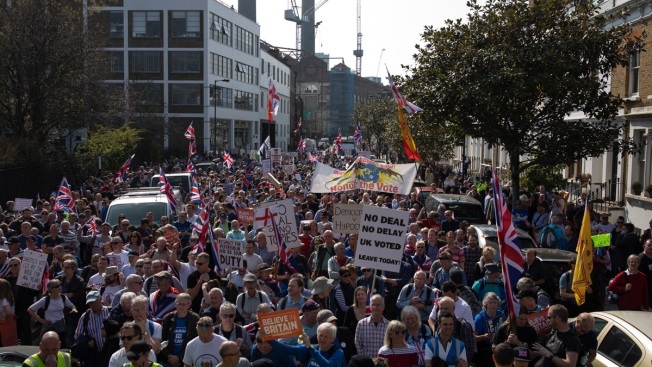 Brexit supporters march towards Westminster from Fulham in the final leg of the March To Leave Rally on March 29, 2019, in London, England. The March to Leave began in Sunderland on March 16 headed by Nigel Farage, now leader of The Brexit Party after leaving UKIP. The marchers arrive in London today and head for Parliament Square as the Prime Minister presents a third Meaningful Vote on her Brexit deal to MPs. Britain's Parliament is deadlocked over plans to leave the European Union. The country's ruling Conservative Party is fractured by an undeclared leadership contest. Opposition parties are baying for an early general election. In the next two weeks, British Prime Minister Theresa May will lead the U.K. through domestic and international negotiations that will decide the fate of Brexit and determine the future of generations. Her task, as it's been for almost three years, is to bridge the increasingly bitter divide that separates those who want to sever links with the EU and those who want to keep the ties that have bound Britain to the bloc for almost 50 years. "In any other circumstance, they would have rolled her by now, either formally or informally," said Tim Bale, a professor of politics at Queen Mary University of London. "She's the default because no one else wants the job." 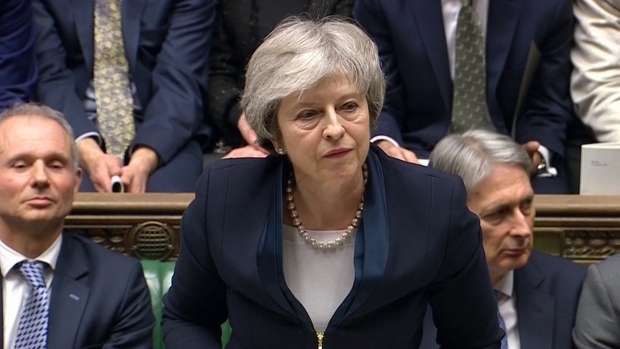 The power vacuum means May has almost no leverage as she tries to engineer a compromise with U.K. lawmakers who last week took control of the parliamentary agenda to debate alternatives to her Brexit deal, which has already been rejected by Parliament three times. 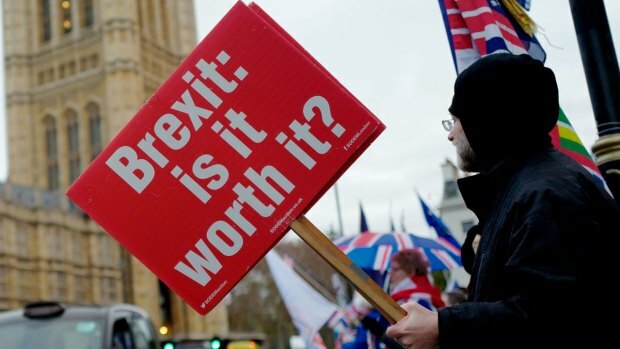 The House of Commons is scheduled to vote Monday on a variety of Brexit options, with two ideas — staying in the EU customs union and holding a second referendum on Brexit — emerging as the most likely alternatives. While Justice Secretary David Gauke said Sunday the government would have to "very carefully consider" the wishes of Parliament, he also said May's EU divorce deal is still the best alternative. Gauke said the prime minister was "reflecting" on the possibility of bringing it back to Parliament for a fourth vote. If the government can't bridge the gap by April 12, Britain will crash out of the EU without a plan for future relations, damaging its economy, undermining the country's unity and diminishing its stature in the world. "I think it would be very, very bad news indeed," Gauke told the BBC. "I don't think the British people would thank us if we left without a deal." 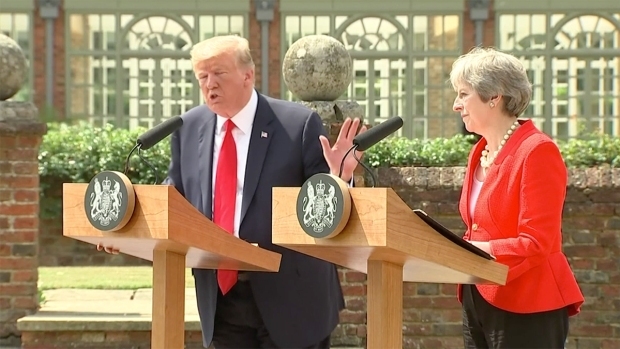 May's political weakness stretches back to when she took office in July 2016, less than a month after Britain voted 52 percent to 48 percent in favor of leaving the EU. Despite the close result on such a momentous decision, May did little to build consensus about what Britain's departure from the world's largest trading bloc should look like. Instead, she set out her own red lines: Britain must end the free movement of people coming in, end the jurisdiction of the European Court of Justice in Britain and leave the European customs union so Britain could negotiate trade deals with other countries. Then, seeking to bolster the small majority left to her by her predecessor, David Cameron, May called a disastrous early election in which she lost 13 seats. That left May as the leader of a minority Conservative government and forced her into an alliance with Northern Ireland's Democratic Unionist Party. Though weakened, May kept Brexit strategy in the hands of the Conservative Party and more specifically her own advisers. But Brexit cuts across traditional political lines. Both May's Conservatives and the opposition Labour party are split between those who want to sever links to the EU and those who want to remain close to the bloc. Even so, May has been reluctant to reach out to Labour for fear of deepening the split in her own party. "She feels trapped politically," said Thomas Raines, head of the Europe program at the Chatham House think tank. "Each step she takes toward the Labour Party will lose her support on her right flank." Complicating the equation is the staunch opposition of May's erstwhile allies in the DUP, which refuses to back her Brexit withdrawal deal because it treats Northern Ireland differently than the rest of the U.K., and the Scottish National Party, which wants to remain in the EU. "Everyone is still convinced they can have their first choice outcome," Raines said. "They cannot see their way to a compromise." Even if May is able to secure a withdrawal deal, more negotiations lie ahead because Britain and the EU still need to work out exactly what their future relationship will look like. In an effort to win support for her deal, May said she wouldn't lead those talks. That has triggered a Conservative party beauty contest among possible successors, with newspapers offering odds on those vying for the top job. Former Prime Minister John Major warned, though, that even changing leaders would do little to break the deadlock in Parliament. 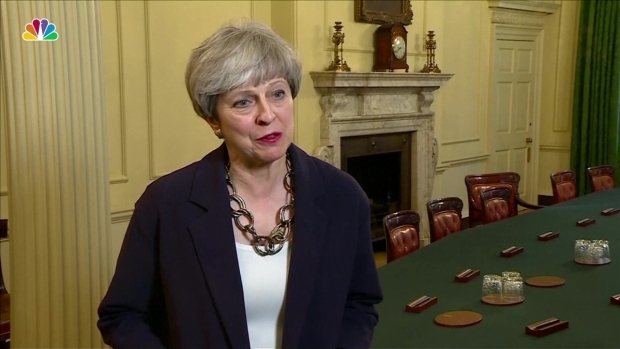 "Of course, a new leader may, depending upon who it is, have less baggage than a prime minister who's had to fight for everything from the moment she went into Downing Street," he told the BBC. "But it doesn't change the numbers. It doesn't change the arithmetic. It doesn't change the instincts and convictions of people both in the Remain and in the Leave camp." That leaves the prospect of calling a general election in hopes of securing a stable majority government in Britain. Labour is eager to go to the voters and such a move might persuade the EU to extend the Brexit talks for a second time. But most Conservatives are opposed, fearing they would be punished for three years of deadlock. Alistair Burt, who resigned as foreign office minister after voting against May's Brexit deal, told Sky News he didn't think a new election would be helpful. "We need to stick to this task that we have in relation to the European Union," he said. "Settle that and then move forward, offer the public the wide range of choices that political parties do ... let's get on with doing this job in the first place."